What does the fox say? 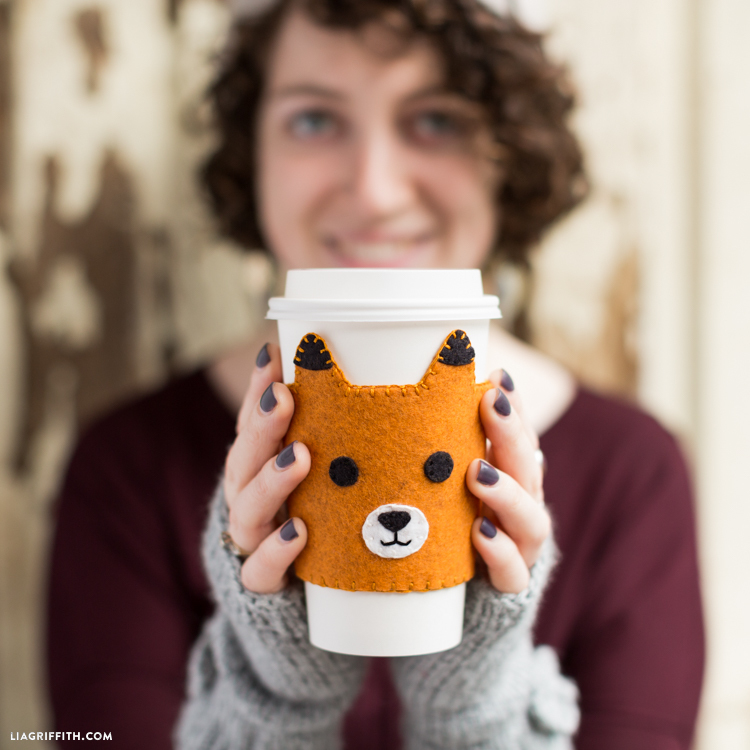 The fox says he wants to keep your coffee cozy! 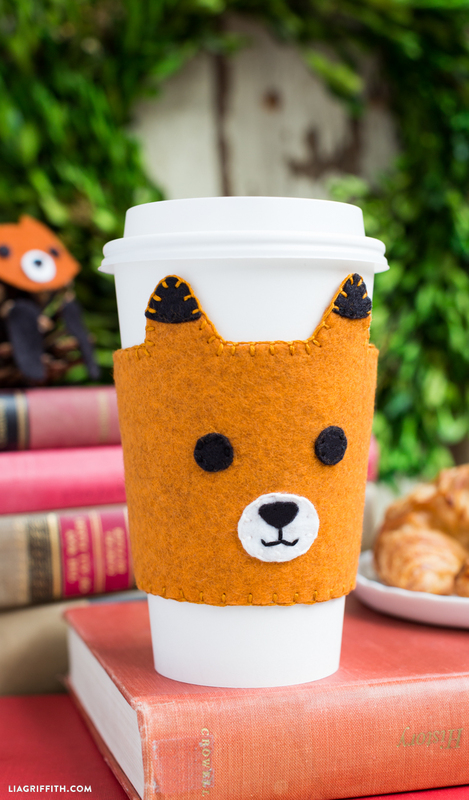 Our DIY coffee sleeves are always popular and with cute fox characters being a hot trend for 2016, it’s only right we create a felt foxy little guy for your take-away coffee cups. 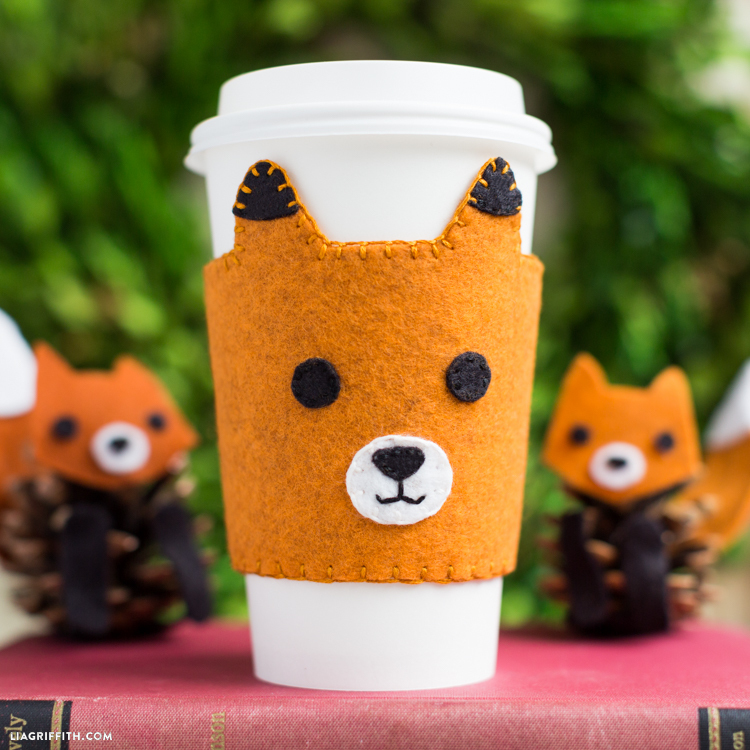 DIY coffee sleeves make a great teachers gift, a sweet gift for your BFF or a cute little handmade treat for yourself. This is so cute! And the tutorial is so clear and easy to follow. I can’t wait to try this project! Thank you! I want to order the correct amount of felt to make this project. How much felt/ what measurements do I need to order to make this project? Also, does it need two layers? Thank you! Hi Casey! The template gives details on how many layers and cuts you’ll need. One 9×12 sheet of felt will be enough for the cozy, and scraps or 6×9 pieces for the other details would be enough. I woul really like to make it but, I need the template…. And it costs $5!?! Why? Can I get a free template? Hi! Yes, our $5/month membership allows full access to our hundreds of patterns and templates. We do have a freebie section on the website though! Wow, I love it! PIN! Yay, so happy to hear you like it! !